Acoustic Artist Tim Jackson, born and raised on the Central Coast of California opens new doors into the realm of the new millennium style of folk music. A sound from the street, with feeling and depth, his music has enlightened the spirit of modern Americana. 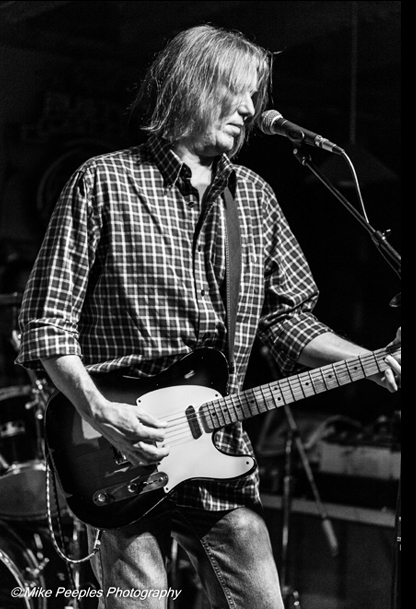 Raised on the sounds of Bob Dylan, Van Morrison, The Beatles, and the Who, Tim has blended his favorite styles into a decidedly assertive brand of rock that evokes the finest musical emotions of the 60's while unmistakably charting the course the genre is pursuing into the 21st Century. Tim's style is undeniably timeless and genuine. Tim has worked with such music industry veterans as Billy Burnette (Fleetwood Mac), Tom Peterson (Cheap Trick), Steve Puleot (Grammy award winning producer), and Joe Chiccarelli, whose production credits include David Bowie and John Lennon. Tim has been voted "Best Male Vocalist" in the California New Times Reader's Poll. He has also received the Fine Arts, Music, and Entertainment's "Best Male Vocalist of the Year" award. No stranger to the larger than life world of rock, Tim has performed under the scrutiny of audiences all over. Opening for such nationally prominent artists as Train, Dwight Yoakam, former Rolling Stone Mick Taylor, Roger McGuinn, the Neville Brothers, Jimmie Dale Gilmore, Sam Phillips, Peter Case, James McMurtry, Marshall Crenshaw, Greg Kihn, Dwight Twilly, The Spencer Davis Group, John Wesley Harding, Bare Naked Ladies, Luka Bloom, Donovan, Jim Lauderdale, Chris Whitley, Todd Snider, and Paul Thorn. EVERY CLUB, Pub, Saloon, Bar, Theater, Concert Hall, Church, Beach Front Backyard Party, Barn, Airplane hanger, Roller Rink, Veteran's Hall Benefit, Country Club, Circus Tent, free for all Dive Bar, street corner under the bridge by the railroad tracks in the broken glass underground in the tunnel on top of the mountain with the animals in the clouds burned off by the sun under God!